The days of plain white window shades are in the past (if you do want them we carry those too.) Now we have many choices that can reflect your personality, match your furnishings and even advertise your favorite sports team or even promote your own organization. You have a style all your own—and now there is a refreshing new way to express it. 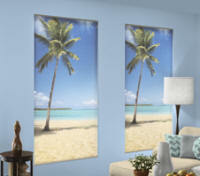 With this innovative Roller Shade, you can express it with personalized window shades. Solids, Textures, Patterns, and Borders and more. Express your own unique style. You are only limited by your imagination! 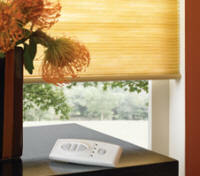 Motorization of your window shades offers easy, remote control operation using motors, wall switches and controls. Modern convience without any operating cords. They operate smoothly without the loose cords that can ensnare children and pets. 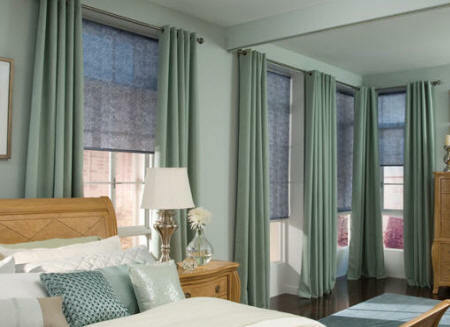 Cellular Shades feature a double honeycomb design that provides energy efficient insulation, while the elegant pleat offers a clean, classic look. 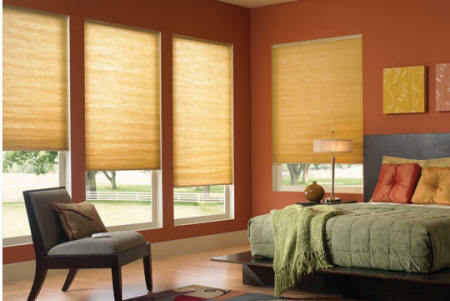 Some of our offerings of Cellular Shades also block 99% of damaging UV rays. 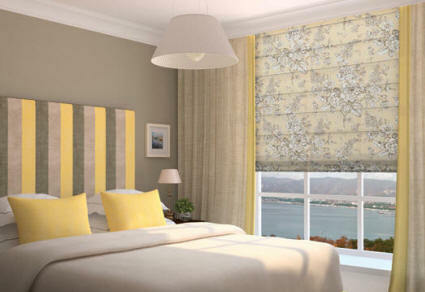 Select honeycomb shades have fabrics that are available as Flame Resitant for commercial purposes. The quiet and slow rising system controls the shade as it lifts to the top, leaving the shade safely in position. 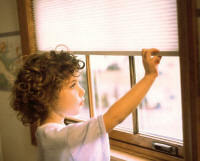 We have several types of corless shades to help keep your family and pets safe from the dangers hanging cords pose. Top Down Bottom Up - allowing you to raise the shade from the bottom up or lower the shade from the top down. Cordless Roman Shades - raise and lower the shade from the bottom rail handle for a clean look. 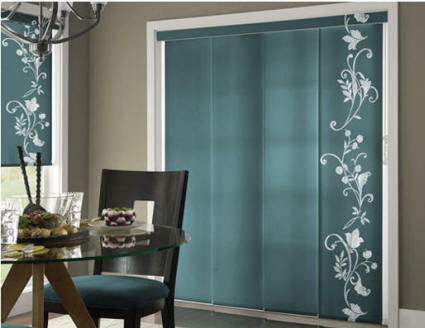 Personalize your roman shade to your own style. 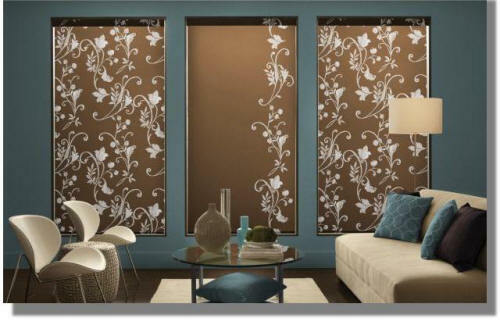 Need window shades for large windows or patio doors? No problem! We have a Panel Track sliding fabric system that is the perfect solution. We have many types of black out shades for people who need to sleep while the sun is still shining. Including the new and inovative Comfortex SlumberShades, the official window shade products of the National Sleep Foundation.